Guy Rundle remembers a comic genius. 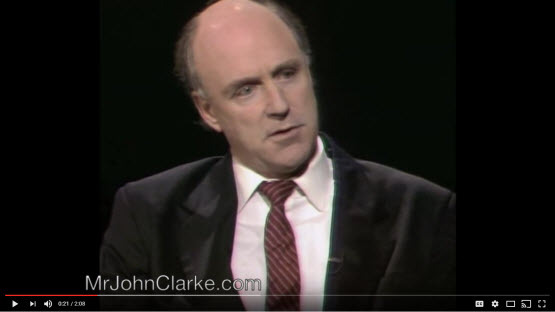 John Clarke and Bryan Dawe have been satirical stalwarts of the ABC. Now they're at risk of being boned, according to whispers in Aunty's Sydney corridors.